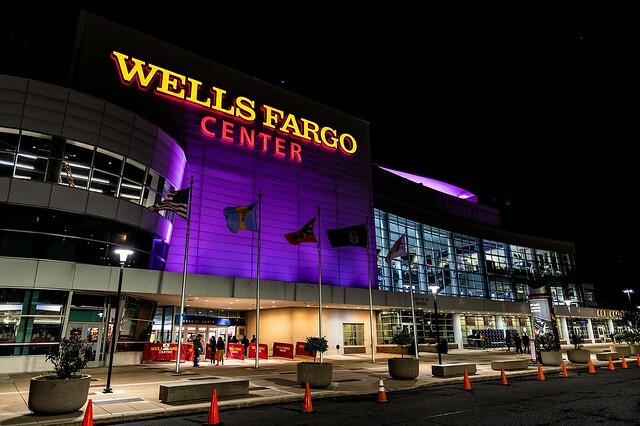 The Bandito Tour went low in Philly’s Wells Fargo Center Reviewed by admin on October 30, 2018 . If you’ve not been versed in the world(s) of Twenty One Pilots, you’re truly and honestly disconnected from the world. 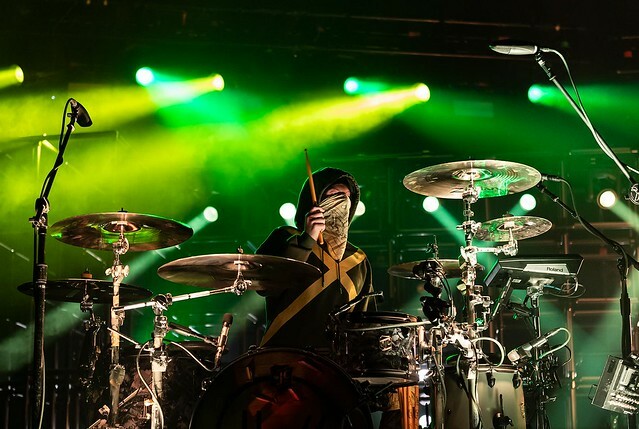 Though the band’s fourth studio album, titled Trench, hasn’t made much a splash in the mainstream, Twenty One Pilots’ are currently in the early stages of a worldwide stadium tour. Trench’s album cycle is taking a similar route as Blurryface, the band’s most decorated album yet. Like Blurryface, Trench is on a slow rise to stardom, despite the band’s nearly sold out stadium run. 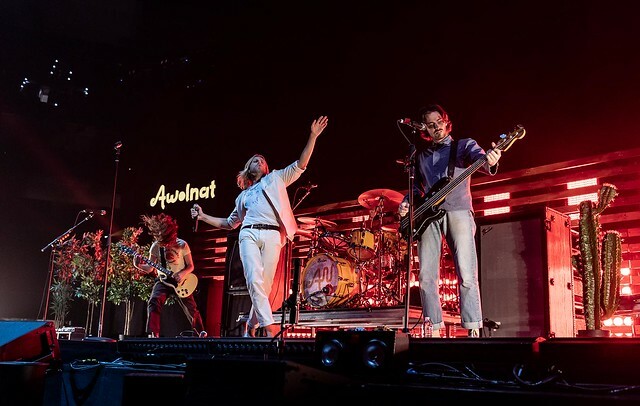 Opening up the night was LA’s AWOLNATION, a band you are familiar with for a variety of reason. Remember the 2011 hit “Sail” that took the radio, social media platforms, and YouTube cover page by storm? The band are huge in their niche, but small in the mainstream, a surprising reality that most of Twenty One Pilot’s openers find themselves within. Nevertheless, the band had a sea of fans singling along to tracks like “Kill Your Heroes”, “Not Your Fault”, and “Sail”. You can find their most recent album Here Come The Runts on major streaming platforms! The album is not even a month old and has already stirred up quite a commotion within their fandom. 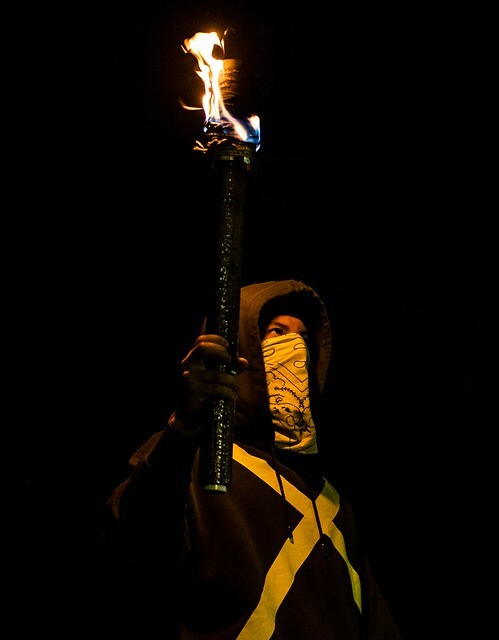 Centered around a fictional utopian city named Dema, and its surrounding valley known as Trench (the metaphors start early), the record rumored to be an extension of the Blurryface era. 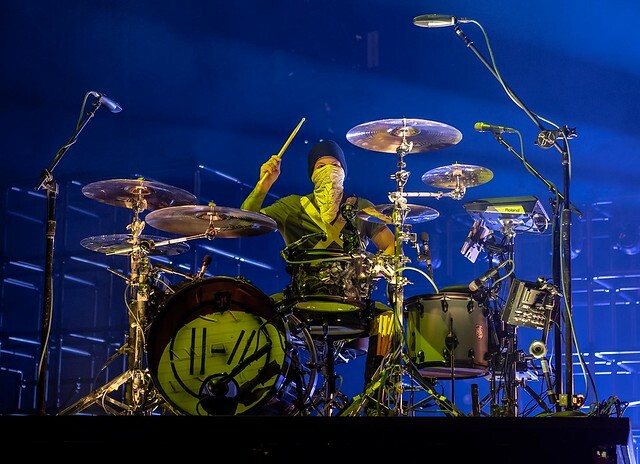 Kicking off the Bandito Tour in Nashville’s Bridgestone Arena, Twenty One Pilots are in the midst of a year long trek across the world. We spent the weekend before Halloween dressed in our best camo and yellow rebel gear. 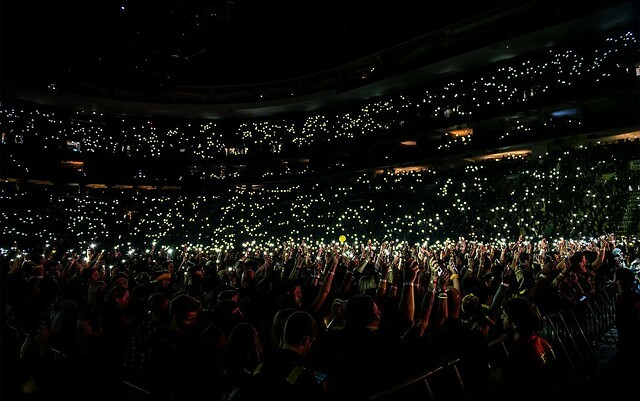 We hung out in Philly’s Wells Fargo center, where fans had been camped out in front of the venue for a few days prior to the show; though honestly, that is quite typical for a band of this caliber and something that is expected of the General Admission crowd. Not only do fans strive for stellar spots in the pit, they are gearing up for some of the band’s classic shenanigans (i.e., drum islands, frontman Tyler Joseph standing on top of the fans, and the epic “Trees” finale). Plus: snacks! The Bandito Tour is similar to where we left off in the Blurryface, except this time all of our favorite shenanigans are bigger, brighter, and yellow. 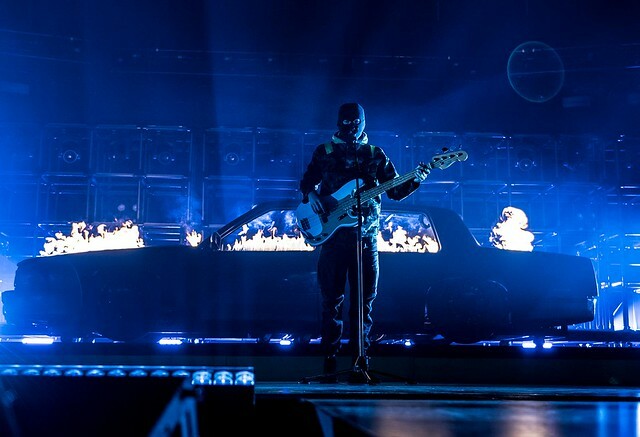 Dummer Josh Dun’s drum island can be found raised above the audience; the band’s infamous burning car (see: HeavyDirtySoul and Jumpsuit) found a home in the back of the stage, and the, once again, epic “Trees” finale is brighter than ever (yellow confetti!). It’s easy to say band’s change through each album cycle and fans mourn for lost eras, but Twenty One Pilots are nothing if not patrons of nostalgia. You’ll still find scenes of familiarity, with “Stressed Out” and “The Judge”, but you’ll be yelling “FINALLY!” to the heavens as old friends make their way onto the setlist for the first time in years! “Fairly Local” has a full version (apparently) and “Taxi Cab” is a welcomed favorite among the first-year fans. New additions like “Jumpsuit” and “Nico And The Niners” were just as welcomed, as were covers of the Goo Goo Dolls “Iris” and The Beatles’ “Hey Jude”. The duo are better than most at incorporating newer tracks into their setlist, and I don’t think there was a fan in the crowd upset by the listing (except: #JusticeForChlorine). The Bandito Tour is ongoing and will wrap up in June 2019. 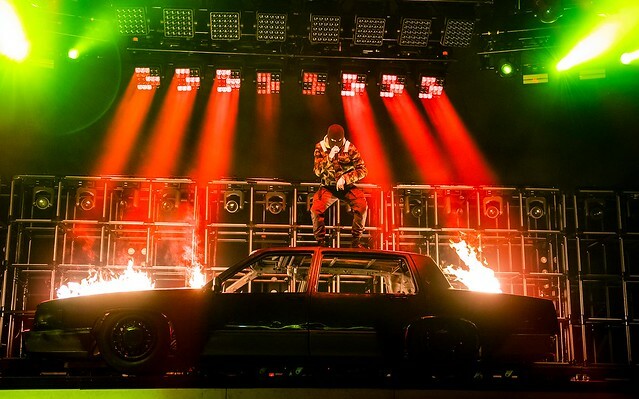 The first American leg of the tour is sold out sans one show November 20th Pinnacle Bank Arena ­in Lincoln, NE, but that won’t be the truth for long! Grab your tickets ASAP, and get your camping gear ready! We’re camping out for the barricade spot, baby! Catch the full gallery here!